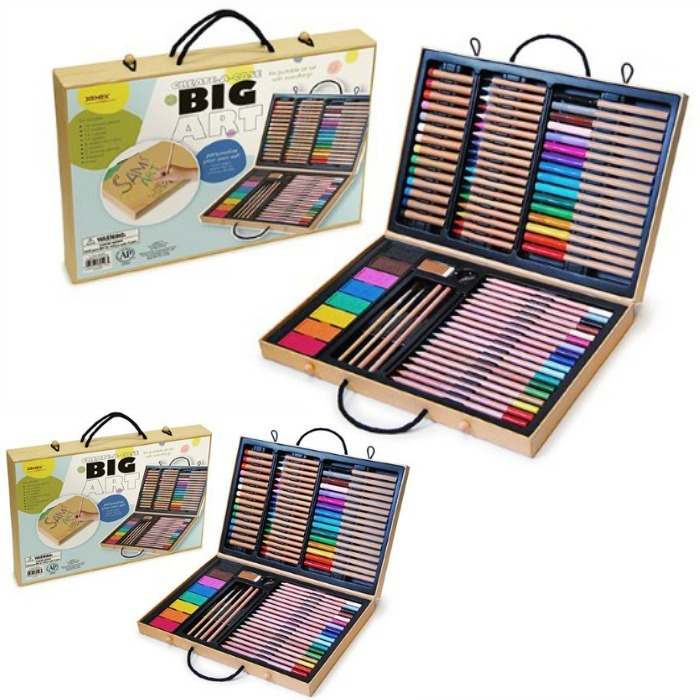 Xonex Big Art Set Just $6.55! Down From $32! You are here: Home / Great Deals / Amazon Deals / Xonex Big Art Set Just $6.55! Down From $32! Amazon has this Xonex Big Art Set for just $6.55 (Reg. $32)! Plain brown paper exterior allows you to personalize all sides of case. Set includes: 18 colored pencils, 16 fine-point markers, 18 crayons, 14 oil pastels, eight watercolor cakes, 2 paintbrushes, 2 drawing pencils, and one each; sharpener and eraser, shrink-wrapped with descriptive label.